There are a lot of prejudices against Marseille with a fair share of warnings concerning the city. It is supposed to be a bit dirty, a bit loud, a bit chaotic with some immigrants and a high crime rate mixed into the equation. While I was in high school, we read “un aller simple” (“one-way“) by Didier Van Cauwelaert in my French class and a big part of my perception seems to be coming from that book (it contains all of the above mentioned elements). It reminded me of Naples which has a similar reputation. We arrived in Marseille at night with a train that came from Madrid/Barcelona. Red Cross workers waited at the platform for any relatives of the Germanwings flight’s victims. I was still thinking about this when we walked to the place we were staying at so I do not really remember many details about the actual walk other than having a slightly uneasy feeling. I would not really recommend walking alone at night in Marseille. It is always interesting to arrive in the dark and waking up to a new environment. There were a lot of small shops in the area as well as a market. Rundown buildings and graffiti-covered walls seemed to be a trademark appearance of the neighborhood, including the people who were sitting on the front porches, smoking cigarettes and doing – so it seems – nothing in particular. The Quartier des Créateurs is just a block away and great for a stroll to admire the graffiti art or to try out exotic cuisines. Music blasts from the little plaza and at night, the bars offer a place to meet people. A multicultural hotspot. Being the second-largest city in France, Marseille does have a great number of sights to offer, starting from the Notre-Dame de la Garde with its intricate decor and nautical themed interior design. 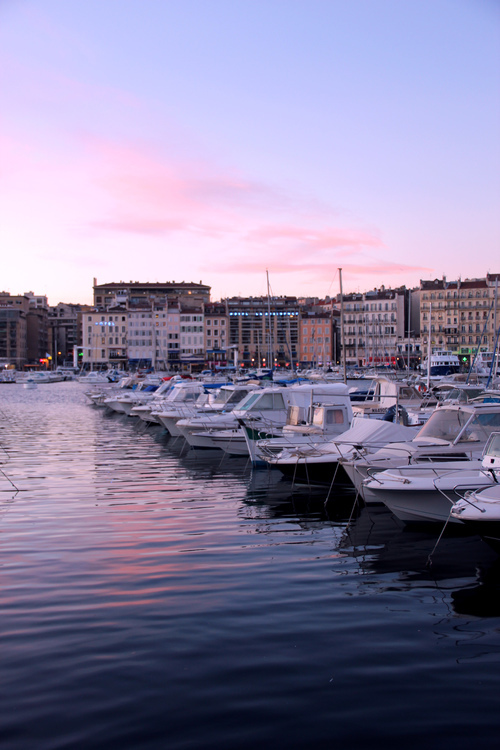 The harbour is an essential part of Marseille and the Mediterranean Sea has greatly influenced the city’s architecture and everyday life. Throughout modern Marseille, these traces can be found through house wall decors showing ships and nautic designs, names of cafés and restaurants and of course its fish markets and cuisine.